The Spring Soirée Auction Is Open! We are so excited for our 4th Annual Spring Soiree coming up this Saturday and whether or not you’re attending, you can still partake in the auction and raffle fun! Our silent auction is now live and you can bid on items here. We’ve got a great range of amazing prizes from a private cinema at The Ministry to an axe throwing experience at Whistle Punks and much much more! Check out the list here and see what catches your fancy! We’re also selling raffle tickets via Eventbrite if you’re not attending and/or want to buy your tickets in advance. Raffle prizes include Afternoon Tea at Mr Fogg’s, Lilac Mother of Pearl Earrings and Necklace Set from Kendra Scott, a Magnum of Moët and a Jo Malone gift set. 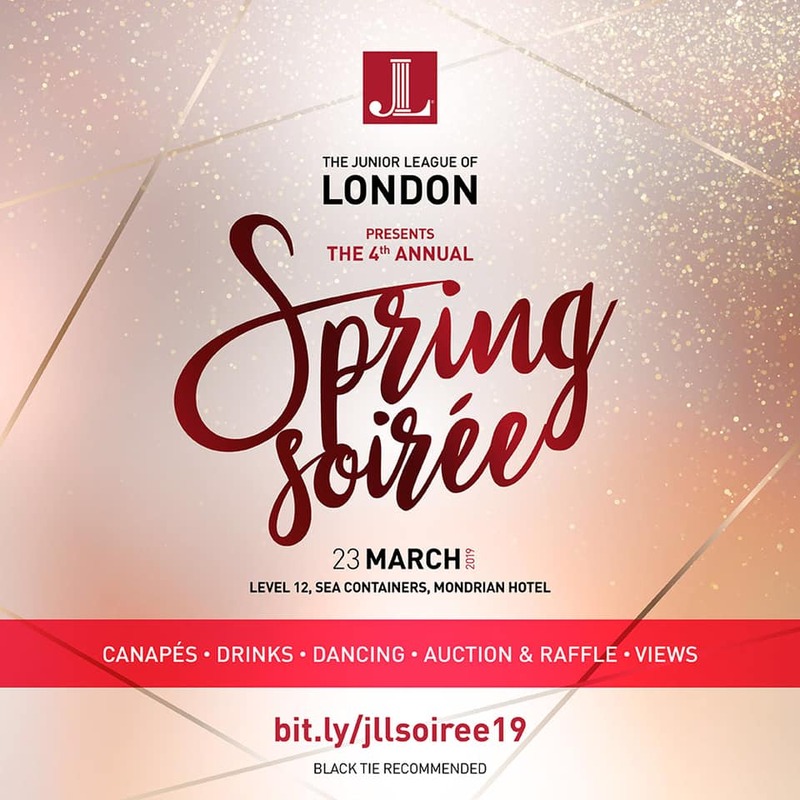 And of course all of this is to support the amazing JLL cause and help us raise the funds we need to continue developing the potential of women and making a difference in the London community. And if you’re free Saturday we still have tickets available and would love to see you so get your Soiree tickets here.